Fears that Chrysler would be "Italianized" when Fiat took control of the U.S. automaker once seemed reasonable. Three years later, a thriving Chrysler is propping up an ailing Fiat and some outraged Italians complain about the "Americanization" of Fiat. The 22 executives that run Fiat-Chrysler as a single entity on a global basis usually hold their monthly meeting at Chrysler's base in Auburn Hills, near Detroit, and only rarely in Fiat's home city of Turin. In Auburn Hills, Italian is forbidden even between Italians. The official language of the company's Group Executive Council is English. The shift of balance between the doctor and the patient has been so massive than many now expect the United States to become the home of the merged Fiat-Chrysler. Turin, for 133 years the capital of the Fiat empire, soon could be reduced to a regional headquarters that covers Europe, Africa and the Middle East, despite Fiat owning 58.5 percent of Chrysler. What's driving the power shift? Money. Fiat has been unable to make any profit in a recession-hit Europe, which has left it severely weakened. In the first quarter, North America -- which is all Chrysler with the exception of some Fiat 500 production in Mexico -- generated 670 million euros toward Fiat's total consolidated trading profit of 866 million euros. Europe, which is Fiat plus a small number of Chrysler imports from Canada, the United States and Mexico, posted a 207 million euro trading loss in the quarter. The company also made money in Latin America (235 million euros) and Asia-Pacific (77 million euros). Trading profit/loss is operating profit/loss before unusual items. When it comes to net profit, Chrysler Group made 652 million euros and Fiat lost 273 million euros. Without Chrysler, Fiat would have finished the first quarter with a big loss rather than a 379 million euro consolidated net profit. Chrysler's transformation into Fiat's financial savior has happened because of internal and external reasons. Internally, Chrysler completed the first part of an ambitious relaunch program ahead of schedule. The keys to the program included making Jeep the leading brand in the international expansion of Chrysler Group and becoming the first volume automaker to offer a fuel-saving eight-speed automatic transmission in North America. Fiat announced a five-year plan in April 2010 and still has a lot of work to do to reach lofty targets such as relaunching its ailing Alfa Romeo brand in North America and expanding the company's overall presence in China, India and Russia. In addition, Europe's long-awaited recovery was supposed to begin this year. That won't happen, which means Europe's new-car sales will decline for a fifth-consecutive year. Putting even more pressure on Fiat is that new-car sales in Italy are forecast to reach a 33-year low of 1.37 million, which would 22 percent below 2011. In United States, the new-car sales volumes -- and more importantly, margins -- have recovered faster than expected from big declines in 2008 and 2009. Better sales and margins from Chrysler, which is the third-largest U.S. automaker, result in big financial gains for Fiat. Marchionne: "I continue to be somewhat concerned and somewhat reluctant to engage in expansions in Europe, but I have not slowed down one single dollar of spending in the U.S."
This story is from Automotive News Europe's new Global Monthly publication. The issue contains a collection of the month's top international stories, along with expert analysis and data, such as European sales by model from market researchers JATO Dynamics. The Global Monthly is published in PDF form and it can be customized, downloaded and read from a desktop computer, tablet or e-reader. Sergio Marchionne, who is CEO of Fiat and Chrysler as well as the chief operating officer of the alliance's North American region, gave Chrysler the same shock treatment he used to revive Fiat Auto after taking over in mid-2004. The big moves at Chrysler included streamlining management, purging extra inventory from sales channels, slashing incentives, launching new or improved products and limiting production to what the market demands. Fueled by the arrival of 16 new or refreshed models since 2010, Chrysler reported a $183 million net profit in 2011 compared with a $652 million lost the year before. Fiat's European operations, meanwhile, posted a 2011 trading loss of more than 500 million euros. Because of Europe's poor performance, Fiat's global automotive operations swung to a 791 million euro net loss last year from a 369.6 million euro profit in 2010. Unlike Chrysler, Fiat is starved for new product. This problem stems from Marchionne's decision to drastically reduce spending on new models. The wise move protected Fiat's cash ahead of investment bank Lehman Brothers' September 2008 collapse, which sparked the global financial crisis that essentially put a halt to all lending. Fiat's European sales have been hurt by the delayed replacement of models such as the Punto. Marchionne's decision also made sense at the time because launching new products into a crashing market seemed foolish. Fiat's product offensive was set to begin this year to coincide a rise in European sales that Marchionne estimated would reach 14.6 million units, or about the same level as 2008. After four months, however, European sales are down 7 percent and are expected to fall to about 12.6 million for the full year from 13.6 million in 2011. Without new models, Fiat's European market share has shrunk to 6.4 percent after four months from 7.4 percent during the same period last year. launch next year but were delayed due to the continued economic weakness of the European market. Fiat's near-premium subsidiary, Alfa Romeo, also must wait until 2014 for its model offensive to start. With global sales of 36,000 through four months, Alfa's 2012 volume could dip below 100,000 for the first time since 1968. The falling numbers in Europe have not caused Marchionne to make big changes at Chrysler because the U.S. market remains hot. "I continue to be somewhat concerned and somewhat reluctant to engage in expansions in Europe, but I have not slowed down one single dollar of spending in the U.S.," Marchionne said early this month when visiting a Fiat dealer in Austin, Texas, that is the first U.S. retailer to sell more than 100 units of the 500 in a month. What's next for the alliance? A complete merger of Fiat and Chrysler is next major event on the schedule. "Fiat-Chrysler is clearly an unfinished project," said Max Warburton, an auto analyst at Bernstein Research in London. He says Fiat will purchase the rest of Chrysler "sooner rather than later" and estimates that it will cost the Italian company about 3 billion euros. Another big move the alliance is mulling is strengthening itself in Asia, where Fiat-Chrysler sold 25,000 cars in the first quarter compared with 519,000 units in North America, 260,000 in Europe and 215,000 in Latin America. Last month Fiat signed a memorandum of understanding with Mazda to co-develop an Alfa variant on the same platform used by the next Mazda MX-5/Miata roadster, but Fiat chairman John Elkann has said that no capital tie-up is planned. Marchionne said he is not interested in partnership with Mitsubishi and Fiat-Chrysler can't deepen existing ties with Suzuki until the Japanese automaker finds a way out of its failed partnership with Volkswagen Group. This means that establishing an Asian third leg of the alliance remains as a work in progress. The same can be said for where Fiat-Chrysler will establish its global headquarters. Marchionne has repeatedly said he is open-minded about this topic. An indication that the location of Fiat-Chrysler's headquarters could be anywhere came May 30 when it was announced that Holland -- not Italy -- would be the base for the merged operations of Fiat's heavy truck unit, Fiat Industrial, and its farm and construction equipment arm, Case New Holland. Prior to the merger Fiat Industrial was based in Turin and CNH had its headquarters in Burr Ridge, Ill. Whether Fiat-Chrysler's base is in the United States, Italy or anyplace else in the world seems irrelevant to its future success. This is a global business that requires companies and the people who run them to adapt quickly. 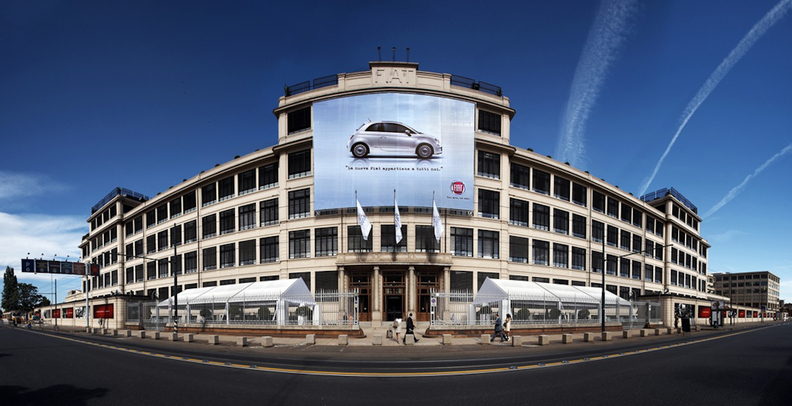 Italians, however, may find it hard to accept that the final word in the acronym Fiat -- Fabbrica Italiana Automobili Torino -- is becoming less significant every day.